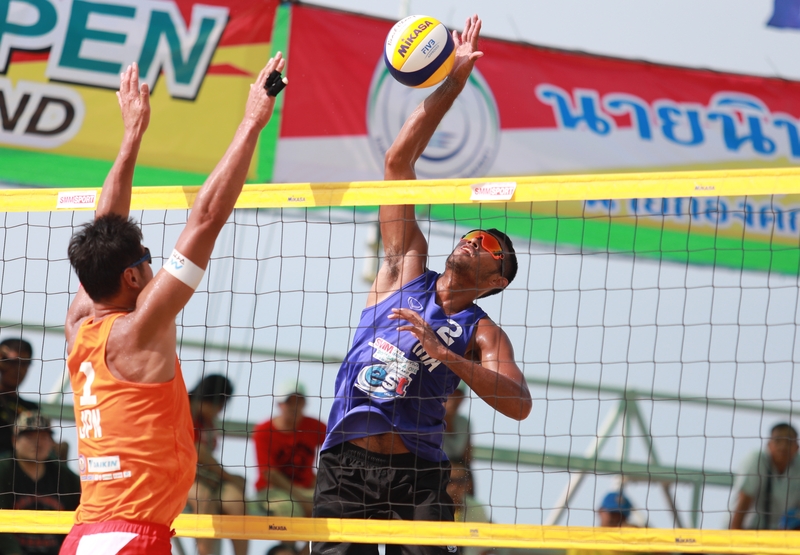 Songkhla, Thailand, April 15, 2019 – China made much of the impact at the AVC Beach Volleyball Tour “20th Samila Open” quarter-finals at Samila Beach here on Monday as four Chinese pairings including two apiece in the men’s and women’s events powered their ways into the Tuesday’s semi-finals, with reigning champions Wang Fan/Xia Xinyi pitted against Xue Chen/Wang Xinxing in all-Chinese clash of the Titans. 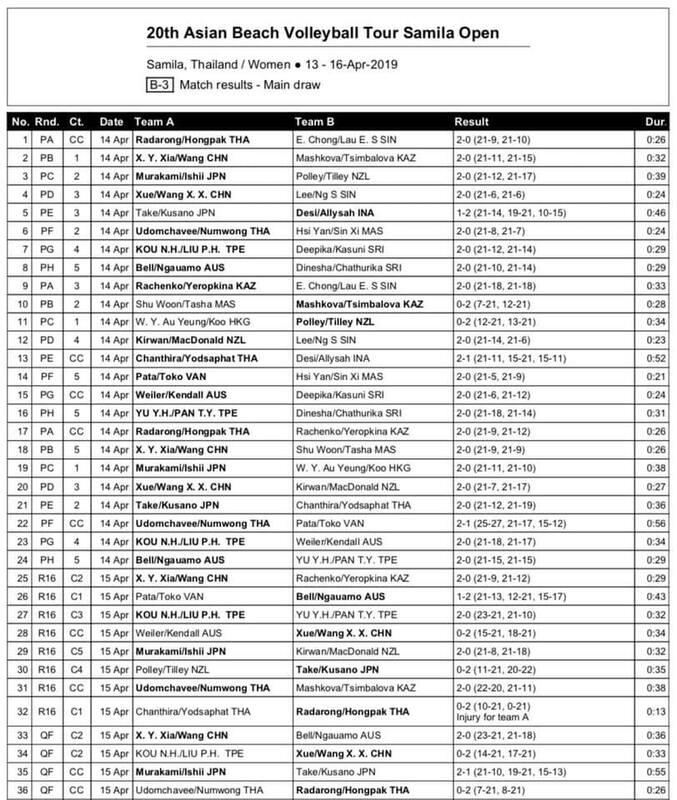 In the women’s quarter-finals, top seeds Varapatsorn Radarong/Khanittha Hongpak continued their remarkable unbeaten run in the double-gender, four-day event after thrashing Tanarattha Udomchavee/Rumpaipruet Numwong 2-0 (21-7 21-8) in an all-Thais quarter-final encounter. 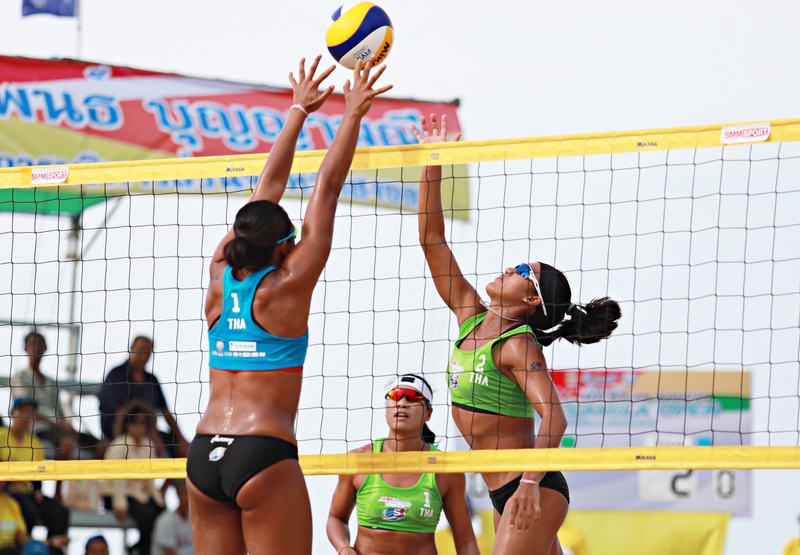 Varapatsorn and Khanittha are due to next challenge Japan 1’s Megumi Murakami and Miki Ishii, silver medallists at the last year’s Asian Games beach volleyball competition in Palembang, Indonesia, in the Tuesday’s semi-finals. 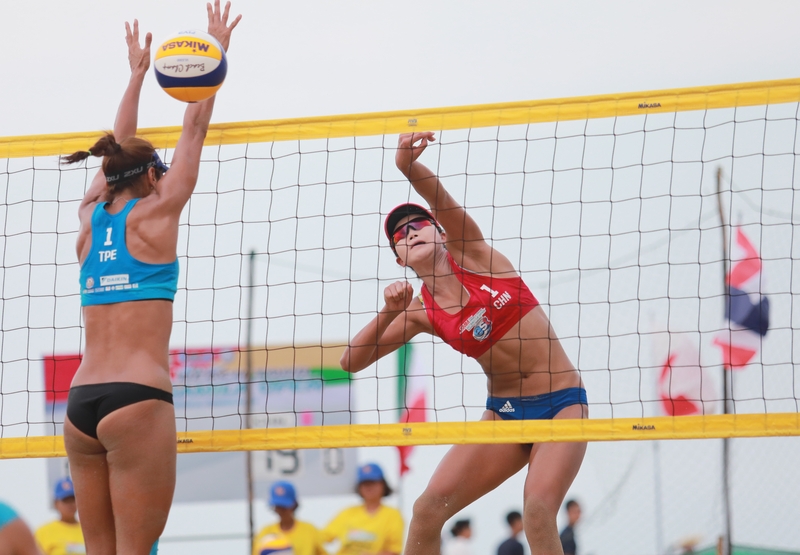 The Japanese struggled hard to beat country fellow Takemi Nishibori and Ayumi Kusano 2-1 (21-10 19-21 15-13) in a hard-fought three-setter of the quarter-final clash. 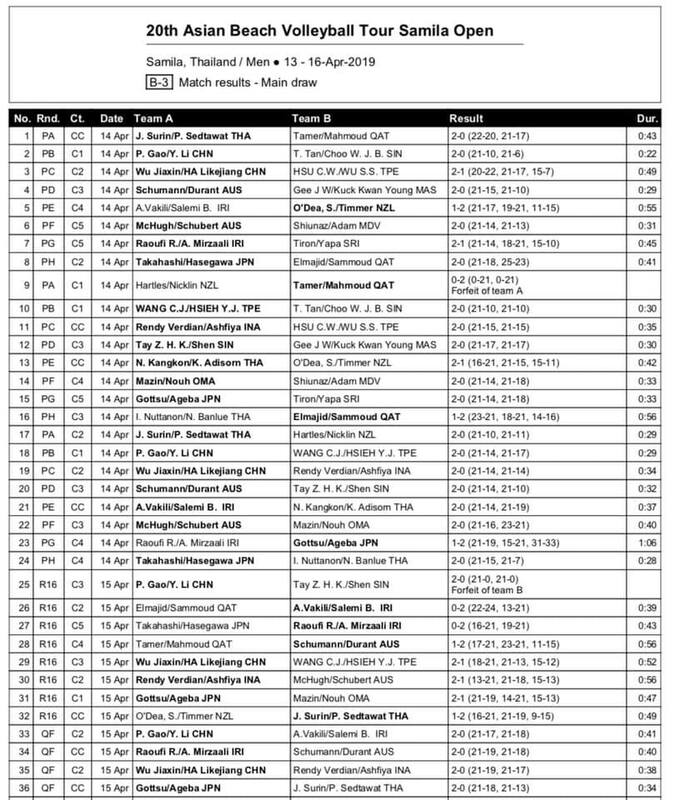 With Varapatsorn and Khanittha through to the women’s semi-finals, the host nation still keeps hopes of winning a medal in Songkhla alive. 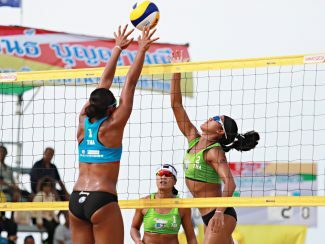 In the previous edition last year, Khanittha teamed up with Rumpaipruet to pick up silver after going down to Wang Fan/Xia Xinyi in straight sets in the final showdown. “We have known each other very well as we have trained together all the time and we respect them a lot,” said Varapatsorn after the comfortable win against Tanarattha and Rumpaipruet. “It was a pity that we had to play each other in this crucial quarter-final match. However, it is sport. There must have one team to win and another team to lose. So now we represent Thailand to play in the semi-finals and we will do our best,” she added. 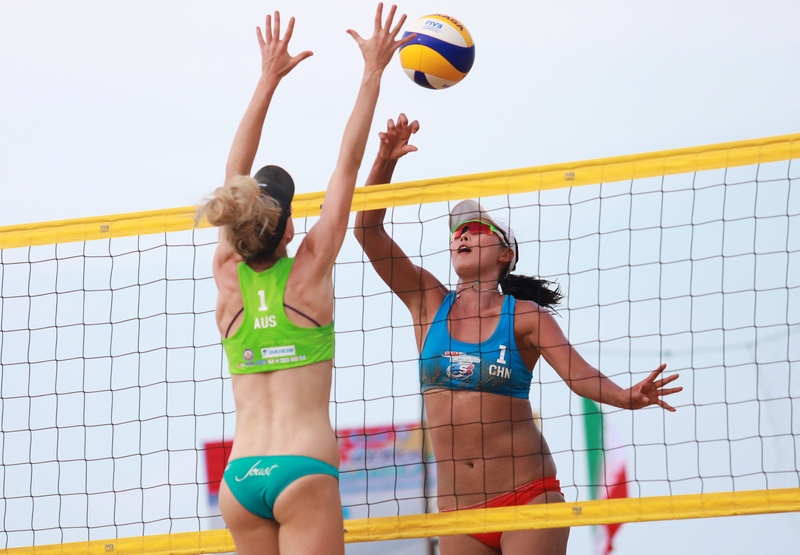 “We will take on Megumi and Miki in the semi-final match and certainly, it will be a very difficult match for us. They are a good team with tenacious playing style. We have to be precise and bring out our best to beat them,” said Varapatsorn. 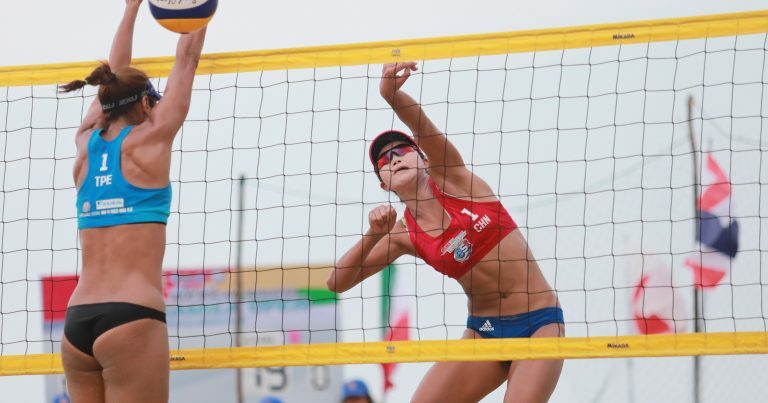 Elsewhere, title-holders and last year’s Asian Games gold winners Wang Fan/Xia Xinyi from China 1 fought hard against Phoebe Bell and Jessyka Ngauamo to narrowly beat the Australian duo 2-0 (23-21, 21-18) in the Monday’s quarter-finals. 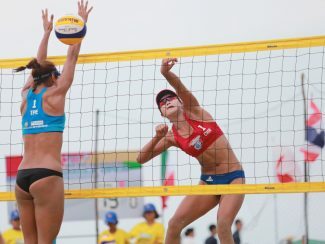 Wang Fan/Xia Xinyi next set up a semi-final encounter against China 2’s Xue Chen and Wang Xinxin, who outlasted FIVB World Tour Satun 1-star champions Kou Nai-Han and Liu Pi Hsin from Chinese Taipei 2-0 (21-14, 21-17) in the quarter-finals. 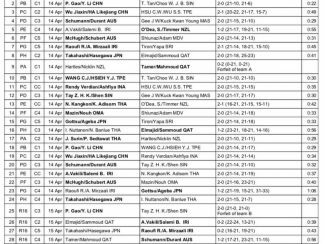 In the men’s competition, Japan 2’s Ishijima Yusuke and Ageba Yuya smashed the Surin Jongklang/Sedtawat Padsawut’s sweet dreams of making it to the semi-finals as they pulled off a stunning 2-0 (21-17 21-18) victory over the Thailand 1’s top seeds. “I think we played well against the host team today. They are a new team and we did not have much information about them. We focused on our game and I am very happy that my team can get through to the semi-finals,” said Ageba. The Japanese duo will next go up against China 2’s Wu Jiaxin and Ha Likejiang, who edged past Indonesia ’s Rendy Licardo/Mohammad Ashfiya 2-0 (21-19 21-17) in another quarter-final clash. “Our opponents in the semi-finals are very strong. 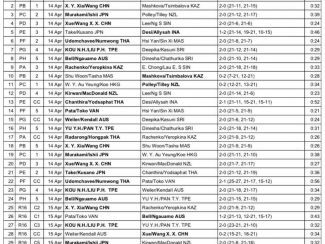 Wu and Ha are taller than the Thai team with good blocking. We need to get some good rest for a tough match tomorrow. We need to focus on our side. I think we have a chance to beat them,” he added. 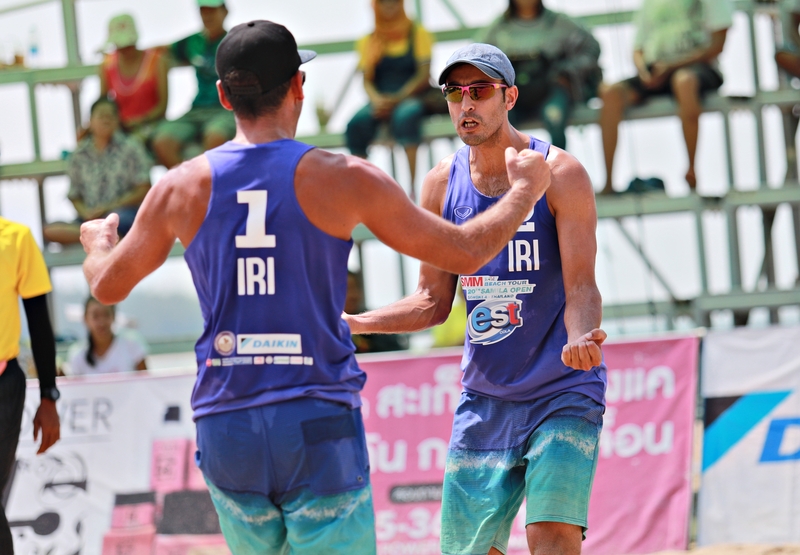 Iran 2’s Raoufi Rahman and Mirzaali Abolhamed, silver medallists at the last week’s FIVB World Tour Satun 1-star, remained invincible to win a semi-final berth following a 2-0 (21-19, 21-18) rout of Aussies Schumann Damien and Durant Cole in the Monday’s quarter-finals. 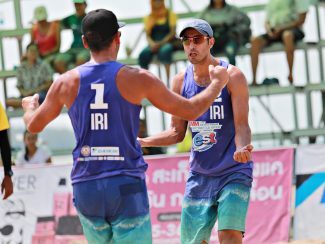 Earlier, the Iranian tandem brushed off Japan’s Koichi Nishimura and Masato Kurasaka 2-0 (21-16, 21-19) in the round of last 16. “We had a good match against Japan in the morning’s round of last 16 and we played a close set against them as we committed some mistakes. In the second match against Damien and Cole we also played well. They (Australia) are a good team but I am very happy that we can beat them,” said Rahman. 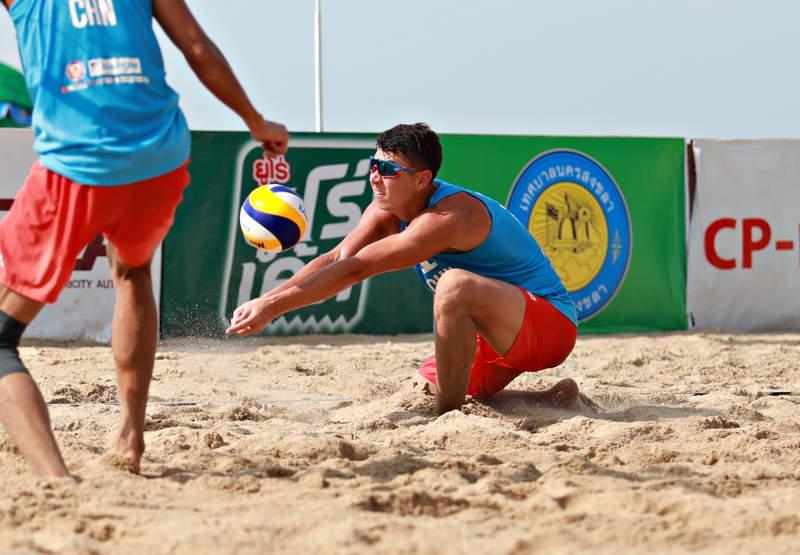 “I have been playing here in Songkhla for around 15 times. This tournament is very important and very good with great support in Asia. 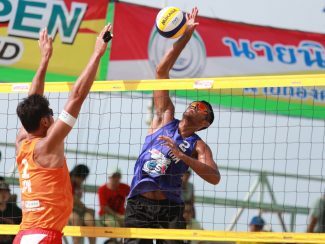 Songkhla has hosted the event for twenty consecutive times which is fantastic. The organization here is superb. I love playing here and hope that we will have a good result this year,”he added. 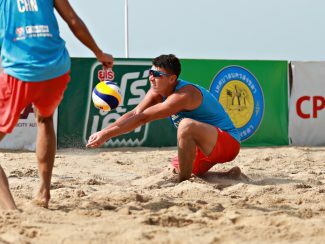 Also advancing to the semi-finals were defending champions and second seeds Gao Peng and Li Yang, who beat Iran1’s Arash Vakili and Bahman Salemiinjehboroun 2-0 (21-17, 21-18) in the quarter-finals.